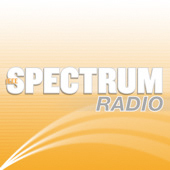 Spectrum Radio, the broadcast edition of IEEE Spectrum magazine, discusses the impact of new technology. Interviews with experts in the field reveal how emerging technologies are changing society, and what they mean for consumers. IEEE Spectrum is a monthly magazine for technology innovators, business leaders, and the intellectually curious - exploring future technology trends and their impact on society. This page shows 1 to 10 of 55 total podcasts in this series. Peter Kogge of the University of Notre Dame discusses the obstacles to reaching exascale computing and the benefits of achieving it. He describes how supercomputing researchers have set a goal to increase computing power by one thousand times by 2015, but that won't be possible with current hardware architecture. In this IEEE Spectrum Radio Special, automotive editor John Volker gives his list of the top 10 tech cars for 2008. While most of the tech is about the environment, some are not, like the $2,500 Tata car meant to put India on wheels or the 200mph Corvette ZR1. Harold McGee, a gastronomic guru and author of On Food and Cooking, discusses his background and inspiration for writing the book. He shares a cooking experiment which involved a copper bowl, his reason for not having a fancy kitchen, his favorite kitchen tool, and his connection to the molecular gastronomy field. He ends with a preview of his next two book projects. Most people don't think of liquid nitrogen or ink jet printers as kitchen utensils, but most cooks aren't like Homaro Cantu. In this special edition of IEEE Spectrum Radio, follow Chef Cantu from his family's fast food kitchen to his restaurant Moto, one of the most innovative in the world. Defense journalists Nathan Hodge and Sharon Weinberger have traveled globally to visit sites where the infrastructure of the nuclear arms race still remains. On this edition of IEEE Spectrum Radio, Hodge and Weinberger, who are husband and wife, talk about nuclear tourism and their motivations for writing the book A Nuclear Family Vacation which chronicles an array of discoveries from a one-eyed baby in Kazakhstan to radioactive deer hunting in Tennessee. On February 17, 2009, all analog television broadcasting in the United States will convert to digital. Millions of households will need to either replace their televisions, sign up for cable or satellite service, or install a digital signal converter. While the Federal government has subsidized these and assured that the switch will be cheap and easy, a reporter for IEEE Spectrum radio who tries it herself finds that for her, it is neither cheap nor easy. The Technological Singularity - the moment when artificial intelligence overtakes human intelligence - is coming. According to Vernor Vinge, who invented the term, it will occur sometime around 2030. In this interview with Spectrum Radio's Harry Goldstein, mathematician and science fiction author Vernor Vinge discusses his latest novel "Rainbow's End" and the concept of the Singularity as depicted in his book. Behind every successful boss there is a trusted advisor. The TV series "West Wing" illustrated just how important and exciting this role can be. At last, someone has written a book about it. Spectrum Radio's Susan Hassler interviews management guru Jim Lukaszewski about his new book "Why Should the Boss Listen to You: The Seven Disciplines of the Trusted Strategic Advisor". Clayton Christensen tells all about his work at a semiconductor fabrication plant which was in a need of a rethink. On this edition of IEEE Spectrum Radio, the Harvard Business School Professor of Business Administration, and author of "The Innovator's Dilemma," outlines his principles for making the world more efficient.